Editor's Note: In the runup to the VERGE DC conference, Chris Pyke, the U.S. Green Building Council's research guru, talks about the need for market transformation and the strategy that can make it happen. Today, more than 1.8 billion square feet of commercial property is certified under the U.S. Green Building Council's Leadership in Energy and Environmental Design standards. And for many, obtaining the shining LEED plaque that attests to green building achievement is a major goal. That's great, say green building advocates, but efforts shouldn't stop there. To transform the built environment in a generation in order to avoid catastrophic damage from climate change lots more needs to happen, and quickly. To do that, says Chris Pyke, the USGBC's vice president for research, it's necessary to "unpack the plaque" -- to tap into the wellspring of data that's available from buildings themselves about how they are performing. It's also essential, Pyke says, to take advantage of the technology that provides access to the streams of data available from entire portfolios of buildings and from the many systems beyond their walls, such as energy grid, transport networks and more. GreenBiz calls that vision of an intelligent, connected built environment VERGE. The information from those buildings and systems provides the context for the continuous improvement needed to drive change on a broad scale, says Pyke, who will be among the sustainability thought leaders speaking at the VERGE DC conference this coming Wednesday through Friday. 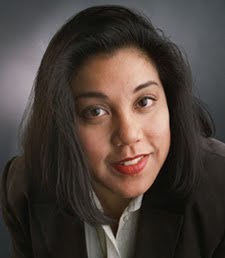 Leslie Guevarra: What’s the state of green building today? Chris Pyke: That's a great question. Today, green building is a global movement. Over the last decade, green building has moved from the fringes of the construction and facility management industries into the center. If you use our experience with USGBC and LEED as a guide -- we are working with project teams in over 120 countries around the world -- we are seeing an increasingly broad range of project types. They span everything from small commercial interiors -- the kind of offices that most of us work in -- through new construction into existing buildings and up to entire neighborhoods that may be hundreds or thousands of acres in size. What may be a surprise to some people, the fastest growing fraction of the green building movement is certainly existing buildings. This last summer, we reached a milestone where we see more square footage of existing buildings than we do new construction. So, green building is certainly no longer a phenomenon that's limited to, say, commercial new construction. It's much, much broader than that. LG: One of the terms people hear today with increasing frequency is “market transformation.” What is that? And what needs to happen to make that happen? CP: Market transformation is an underlying philosophy, essentially, behind the green building movement. The term is probably most widely used in the context of something like energy efficiency. We talk about transforming a market for something, say, like hot water heaters, where what we're trying to do is take water heaters from where they are today, and over time, get to a point where the market is only purchasing high-efficiency hot water heaters. The market does this with the right interaction between regulation and market drivers and advertising and brands. The market is very effective at doing this for things like appliances and other things that consumers are familiar with. In this context, what we're asking is how can we drive a market-oriented permanent change in the prevalence of practices or performance. The idea is that at any given point in time, the market is delivering a spectrum of performance through a spectrum of practices into the market. Some buildings are great. Some are not so good. The vast majority are somewhere in between. The question we ask ourselves every day is through the interventions that we have -- that's rating systems, education, personal accreditation, other kinds of advocacy programs -- how can we shift that prevalence of practice and the prevalence of performance? How do we shift so that there are more better buildings out there? It's an issue of saying how do you drive change so that the mass of the market is moving in a permanent and self-sustaining way? LG: OK, certainly that idea, when it comes to energy efficiency, applies to things like appliances and single buildings. But I gather that the way the USGBC and a lot of its major partners in the movement see it, their vision is broader. They're looking beyond the single appliance or a single building to multiple buildings, if not whole towns and communities, right? CP: That's correct, and it's important to understand that this is basically a phenomenon that can be applied at any scale. If we're talking about a hot water heater, an entire floor, an entire building, an entire neighborhood, an entire district, an entire community, we can apply this model to each of those scales. And I think we can point to situations where that diffusion of innovation has been very successful. So, take one (concept) that maybe people don't think about as often: Recognizing that as we make our buildings tighter and more energy efficient, we have to take greater concern about the types of chemicals that we put into buildings. A way to think about that is [considering] that one of the primary ways we inject chemicals into buildings is through cleaning them. Every day we go through and we add new chemicals into those buildings. So part of that goal of creating more efficient buildings is linked to how we manage that. A number of years ago, we created what we call a [LEED] credit, the idea of a voluntary option to use green cleaning products in green buildings. At that time, there were a relatively small number of choices, probably with price premiums, in the marketplace. Over the intervening years, the market has delivered -- responded to in part to our effort -- to increase demand with the idea of creating a more diverse and more cost-competitive green cleaning options. Recently, we were able to make that [green cleaning] a prerequisite, which means that all green buildings that we recognize in one of our rating systems must use green cleaning practices. So, what we've done is play our part in moving green cleaning from an optional item to something that we could make a prerequisite -- make necessary and ubiquitous. That's the kind of transformation we want. Take a technology, in this case, cleaning, that's important in green buildings and bring it from the edge into the center of practice. LG: Understood. I would think that there are multiple opportunities to act on that far-reaching goal, but that breadth also increases the number of barriers. Is there one big challenge -- or a family of challenges -- that needs to be overcome in order to make this happen? CP: This is me speaking as the research guy. I think we can apply the notion across a wide range of issues. Whether it's energy, transportation, waste, water, materials, that same concept is applicable. But in each case, the fundamental question that we're asking ourselves is, why is the market delivering what it's delivering at a certain point in time? For instance, what we see [from] our data is that the market has been very ready to design buildings that are 30 to 40 percent better than current energy codes. Yet, the market does not as readily build buildings that are 60-70-80 percent better. So, one of the questions is, why? Why is the market at this moment operating at, say, 30 percent instead of 50 or 60? What are the market barriers? Our very first job is to go in and understand what is holding the market at its current level of performance. That's the basis for then unlocking those barriers to take the market to the next level. And we have to repeat that exercise, essentially, for each new issue that we're dealing with. That is a necessary process, and until we've gone through that process, it is hard to move forward. And so, each time we tackle a new issue, be it green cleaning, or energy efficiency, or on-site renewables, or even commuting behavior, it's the same process. LG: So the goal is not only continuous improvement in performance of buildings, it's also continuous work on the part of the movement to drive change? CP: And to know where we are and to have a sense of ambition. I think, as Paul Hawken has said, you know, one of the things that is unusual about the green building industry is that we are a group committed to raising the bar on ourselves. To do that, we need to know where the bar is now; our goal is to keep ratcheting it up. And, of course, like building any good ladder, you don't want to put the rungs too far apart so people can't climb up it. Being realistic about how far the rungs are apart is integral to what we do. LG: What do you hope VERGE attendees will take away from your talk? CP: I hope, at a minimum, what they take away is an appreciation that green building has an opportunity, that the data underlying green building has a value, and that green building itself is far more than a plaque on a wall – that the plaque on a wall is an indicator that there's some valuable information about that building that can be used to continue to drive constant change and provide context for other projects. The take-home message is, when you see that plaque, think of it as an indicator that there's a lot more behind it. That it's not the end of the story. That it's just something to be unlocked. This article originally appeared on GreenBiz.com.